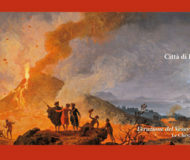 The fourth edition of “Piano di Sorrento: a history between earth and sea“, an event dedicated to the Sorrento Coast, presents on Friday, June 15 a very interesting theme: “Ancient Egypt on Sorrento Coast and Capri”, presented by the Egyptologist Frederick Poole. The conferences are placed in order to disseminate the knowledge of the territory of the peninsula to the local inhabitants, but also to the many tourists that in this period animate the charming streets of the Sorrento Coast, the area is analyzed under the perspective of cultural history, but also to the most natural point of view of these places. The event is held in the Municipal Cultural Center “Via delle Rose”. Description: An event dedicated to the Sorrento Peninsula, presented by the Egyptologist Frederick Poole. Address: Municipal Cultural Center "Via delle Rose"